Since IoT first hit the commercial market, companies in every industry have been brainstorming about how the technology can be effectively deployed. Each industry has its own unique operational goals, resulting in a variety of creative implementations that have begun to reshape how businesses think about IoT tech. A report by Radiant Insights estimated that the global IoT analytics market will grow at a compound annual rate of 33.39 percent from 2018-2022. The hospitality sector, in particular, has been a major innovating force behind this market growth, owed in part to the wide application of IoT in customer service environments. From automated hotels and shopping to consumer technologies, there is no shortage of deployment opportunities for customer-focused businesses. The dominant trend has been two-fold: more digitization enables a greater degree of personalized customer experiences. As a result, traditional one-size-fits-all business models have largely been abandoned in favor of more creative approaches. For example, the hotel and resort giant Hilton recently announced a new "connected room" initiative, which enables end-to-end customer service through an easy-to-use mobile app. Guests are able to check-in, unlock their rooms, adjust room temperature and lighting, and even personalize the room's artwork through this centralized IoT system. Although this particular deployment is the first of its kind, businesses throughout the hospitality sector have been working on similar projects for decades. Seafaring vacationers have a lot to look forward to with the roll-out of new IoT experiences. 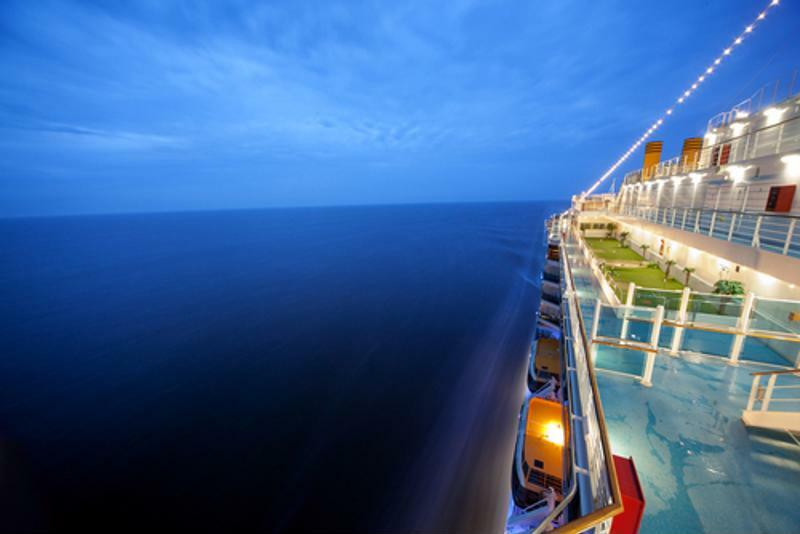 Hotels aren't alone in their pursuit of unique customer experiences, as cruise lines like Carnival have been experimenting with IoT technology for some time. The first major roll-out came in the form of RFID-enabled room keys, which would unlock a guest's cabin when touched to the door's electronic handle. These key cards quickly become a stable of the industry, with many cruise lines expanding their use to include guest purchases at shopping centers and general onboarding/offboarding identification. While these features helped to streamline guest services, the key cards had limited implementation potential. For one, they were only able to send signals to certain devices within the system and could not receive them. The transmitted data was not stored within the card itself, nor were most cruise ships outfitted with a sturdy enough network infrastructure to facilitate large-scale data collection and analysis. But new innovations in the industry have experts optimistic about IoT's seafaring future. As part of its annual Innovation Awards program, the Consumer Technology Association (CES) celebrates a variety of modern consumer products across a range of award categories. In early November, CES released its list of 2019 Innovation Award Honorees, which featured a new wearable device from Carnival Cruise Lines. The OceanMedallion™ represents the latest advancement in customer service IoT within the hospitality sector. These devices provide a higher level of personalization by connecting each guest's digital identity to an extensive onboard ecosystem of smart applications. Once fully implemented, Carnival's fleet of cruise ships will offer a more streamlined experience for vacationers, including hassle-free payment, unlimited access to on-demand services and enhanced guest-crew interactions. Unlike the key cards of the past, the OceanMedallion™ is equipped with two-way communication capabilities, allowing for more complex integration. Guests will be able to place food or beverage orders from anywhere on the ship, locate friends and family through point-to-point wayfinding, and even stream their favorite content to any smart device on the network. This wearable IoT portal is already making waves throughout the hospitality industry, but with new opportunities come new challenges. As IoT solutions grow in popularity and profitability, there will be more incentive to develop creative uses for the technology. The goal of most hospitality companies is to provide their guests with a high level of personalized service and comfort, increasing the likelihood of repeat business. But cruise lines have a unique set of operational challenges that set it apart from other services in the hospitality sector. 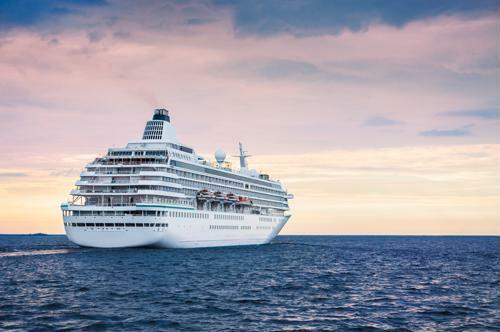 Since IoT implementations require strong network infrastructure to perform consistently, cruise lines have had to figure out how to efficiently outfit their fleet with a wide variety of connectivity applications like serial extenders and PoE injectors. Perle provides industrial-grade networking tools that can keep leisure travel companies ahead of the innovation curve. Our connectivity equipment helps business ensure their infrastructure is sturdy and scalable. Read some of our customer stories to find out how we've helped other forward-thinking hospitality organizations take full advantage of their creative IoT deployments.